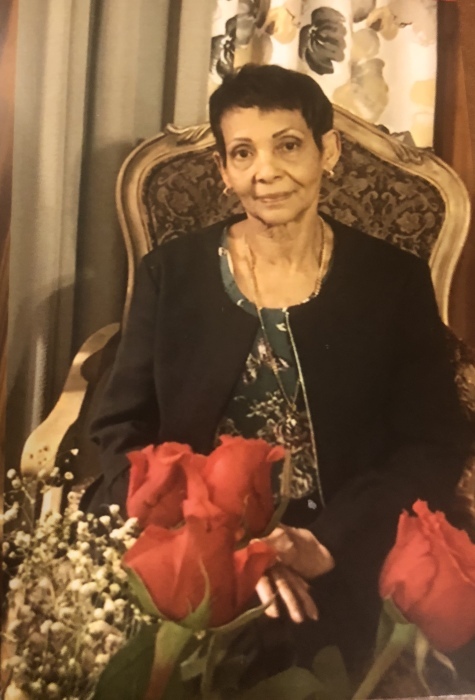 Juana I. Fernandez, 77, of Ohio Ave., Providence passed away peacefully Sunday evening surrounded by her loving family. She was the wife of the late Bienvenido Matos. Born in Santo Domingo, Dominican Republic she was the daughter of the Cristina D. (Santos) Fernandez and the late Francisco Jose Fernandez. Besides her mother she is survived by a son; Angelo B. Matos of Providence; three daughters Jacqueline M. Matos of Warwick, Yris L. Matos of Dominican Republic and Adria I. Matos of Providence; Seven brothers and eight granschildren; Michael J. and Anthony Cruz-Matos, Deniels W. and Deuris D. Camacho-Matos, Randy R. Reyes-Matos, Brian R. Reyes, Dannyris L. Camacho-Matos and Katherine N. Reyes-Matos; She was the mother of the late Ricardo Fernandez-Matos.